We got to Riga pretty late in the night due to all the constructions on the road. You can see more about our way here. We stayed two nights at the Jakob Lenz guesthouse, and paid a total of 64 EUR, for the both of us. The parking costed us an extra 10 EUR for both days. The guesthouse was pretty central, but to be fair most hotels are, and there is almost nothing in the city, that is worth seeing, that you cannot reach by foot. 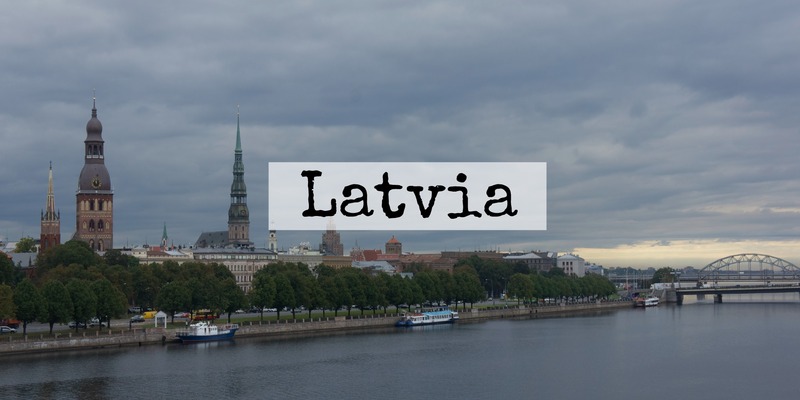 Riga is the capital of Latvia and an amazing little city that has an amazing history as part of the Hanseatic League, a confederation of merchant cities on the Baltic Sea in the Baltic region and Northern Germany, during the middle age. 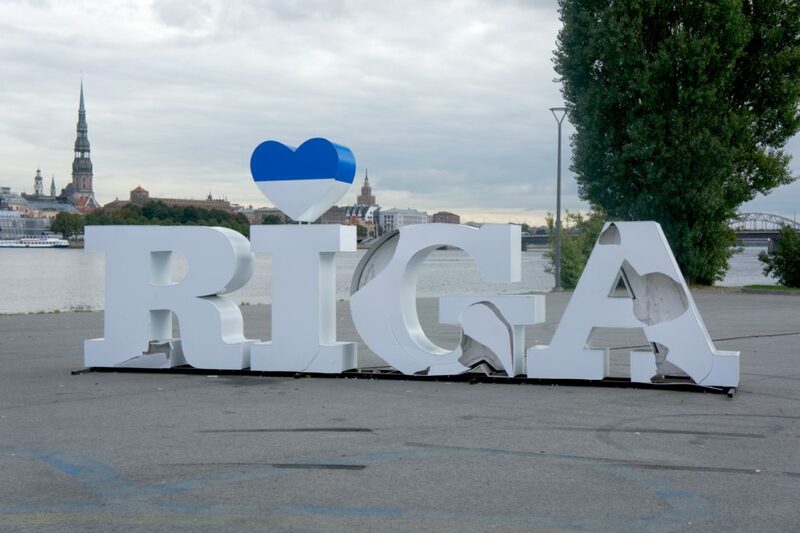 To know more about Riga you can check their official guide. As usual, the prices in the old town were quite expensive on the restaurants, but the food in the supermarkets were the same as in Germany. You can get bread, cheese and ham for a nice sandwich for less than 5EUR. The astonishing part were the prices on the gas station. We are used to exaggerated prices on gas stations around here, so finding a beer for 78 cents and a hot dog for less then 1,50EUR was really a shock. The typical food we found in Riga was: garlic bread – a deep fried somewhat sweet bread with garlic butter, served with a garlic mayonnaise. Blood sausage served with calo slaw and cranberry sauce, and although it was more a Russian adapted dish, I had the beef strogonoff with mashed potatoes. It was lovely, but it costed around 40EUR including two beers. 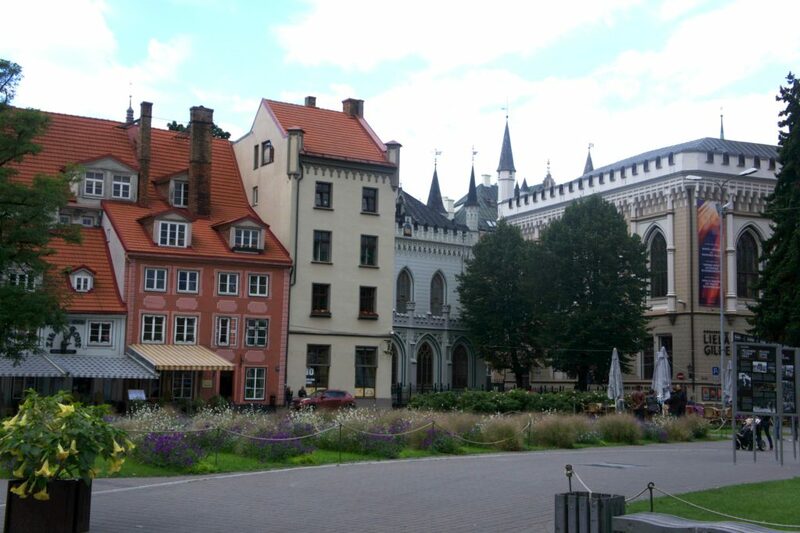 One and a half days are more than enough to have a quick overview of Riga, including the old town, a walk down the river and pass through the city market. The real plus side is they have WiFi connection everywhere, and I mean everywhere! From gas stations to supermarkets and churches. On our way from Tallinn to Vilnius, we wanted to enjoy the nice weather and go somewhere with a lake. We searched and found Alūksne, or Marienburg in German. It is a really tini tiny city, with a beautiful lake and a small castle with and awesome garden. There was not much to do there, but to observe and enjoy the view, which was not bad at all! 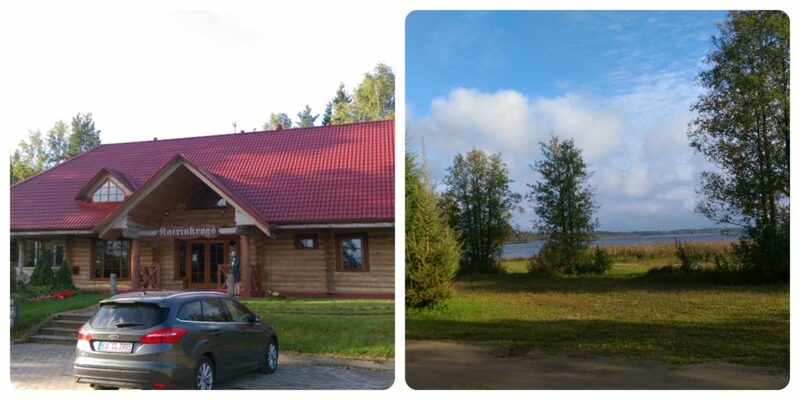 We found an amazing little hotel just by the lake called Jaunsētas. The greatest difficult we had there is non of the employees spoke any english, only Latvian and Russian, but we found a way. We paid exact 39EUR for the one night we spent there. The room was small and the bathroom tiny, but it had all we needed, and the included A la carte breakfast was worth it. Most definitely the best breakfast we had the whole trip. I would recommend a quick visit. Or if you are looking for relaxing trip, this might be the perfect place for you. So far so good! Stay tuned to follow our amazing road trip!